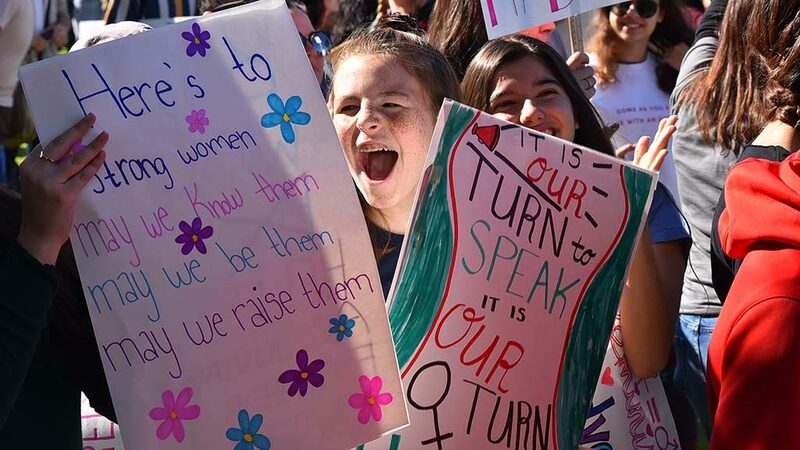 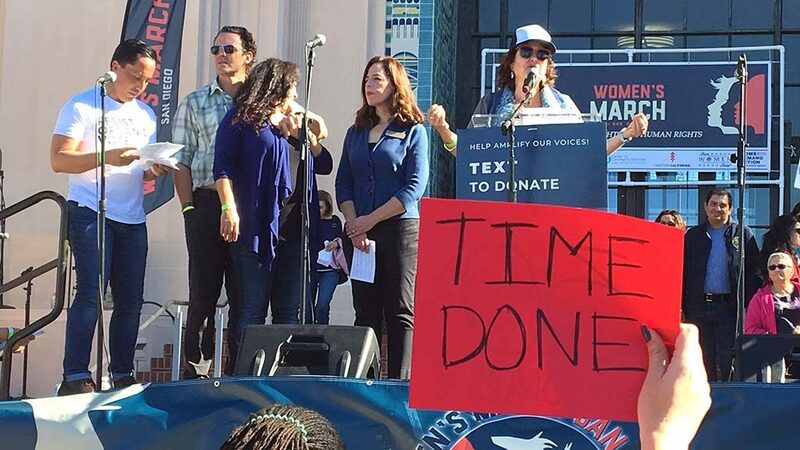 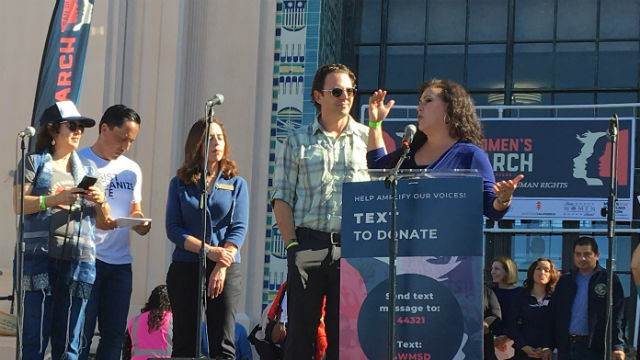 Lexi Cleveland spoke truth to power Saturday at the 3rd annual Women’s March San Diego — by letting speakers including Assembly members and mayoral hopefuls know their time left. 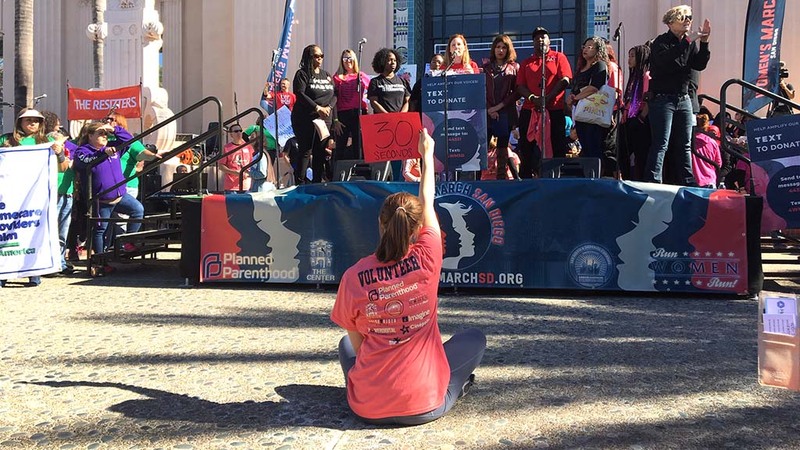 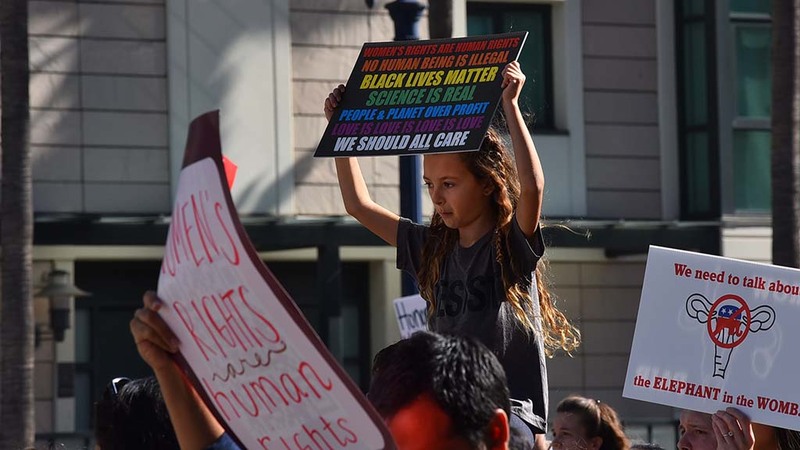 Seated in front of a small stage at the County Administration Center, the Grossmont College student and La Mesa resident held up a red sign saying “30 seconds” and “Time Done” and also flashed a 5-second countdown with her painted-nail fingers. 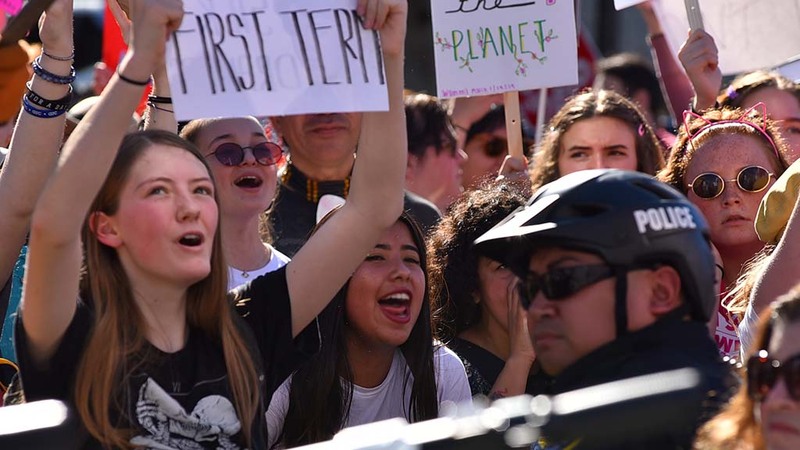 But the young volunteer appeared pleased with herself as an event organizer cried “Let’s march!” at 12:16 p.m. Saturday — only 16 minutes late. 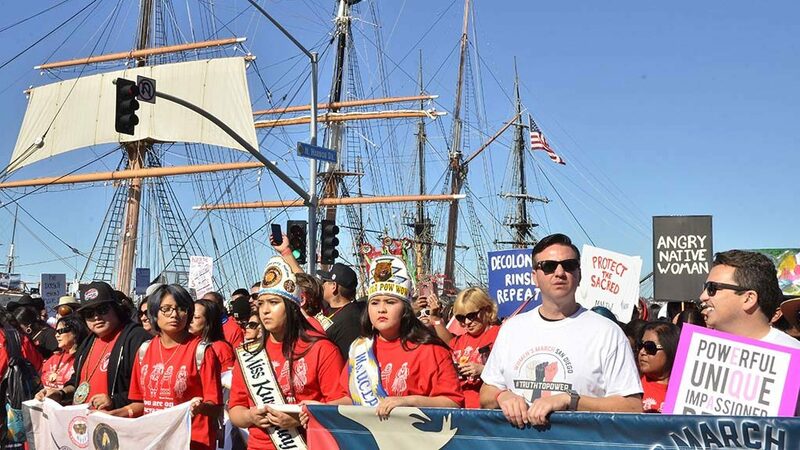 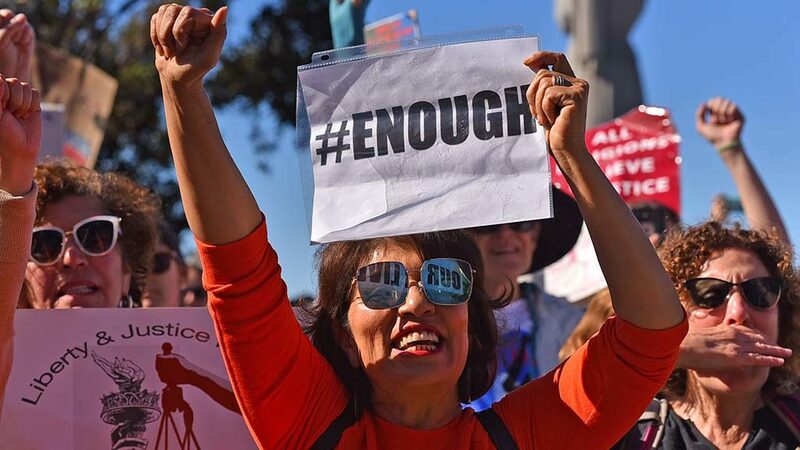 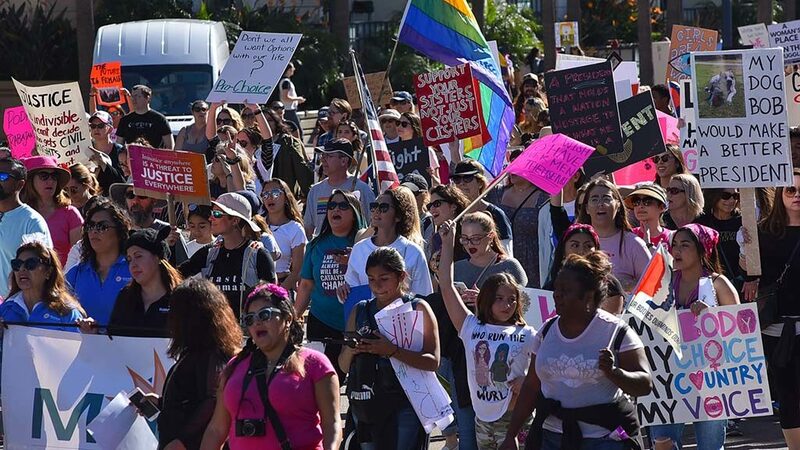 San Diego police estimated the turnout at 20,000, according to Lt. Manny Del Toro, but Times of San Diego figured closer to 10,000, based on the 30-minute length of the march and 300 people passing a given point each minute. 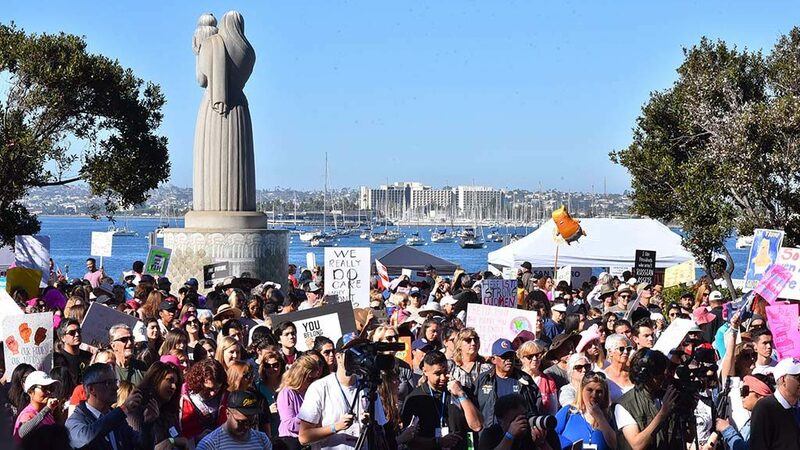 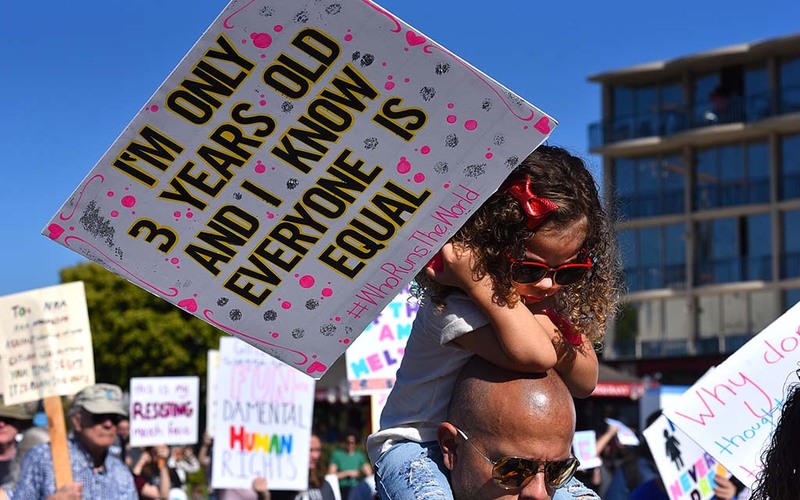 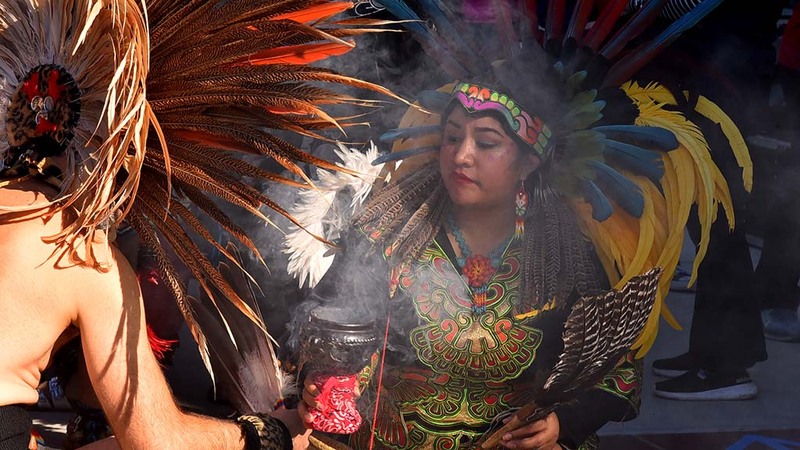 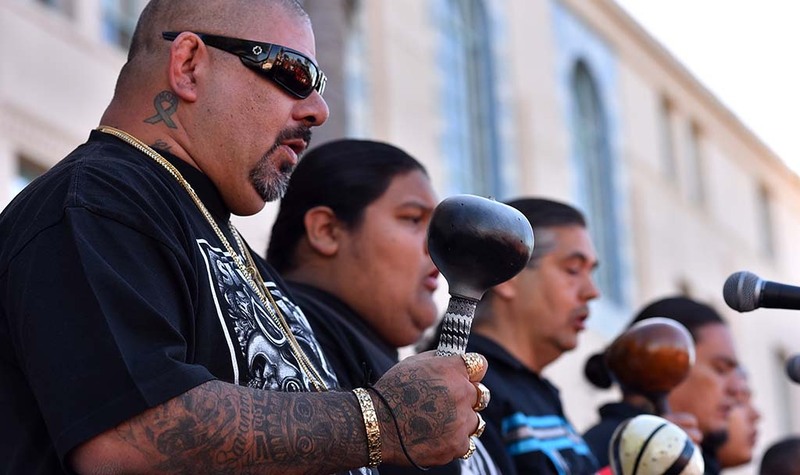 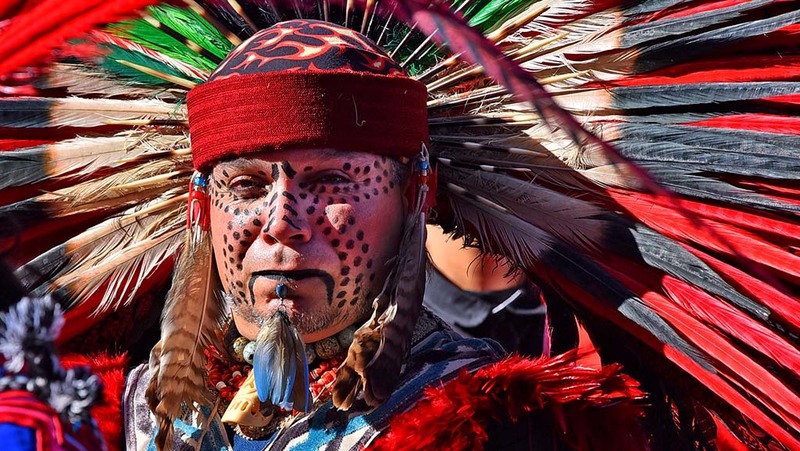 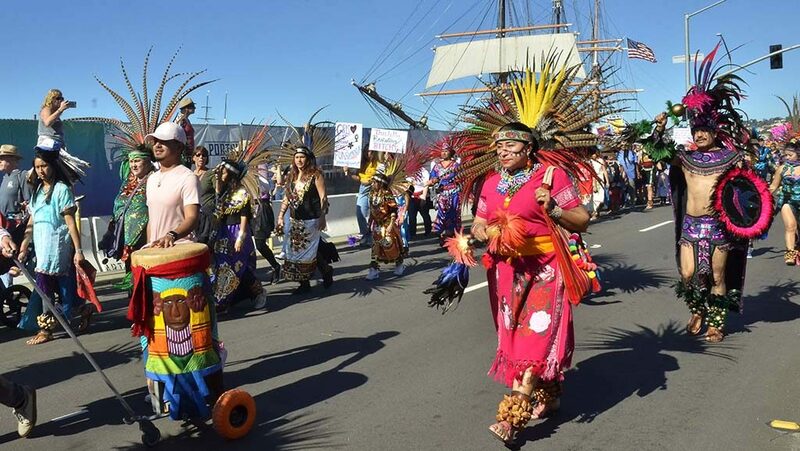 The chanting crowd of all ages, some with dogs on leash, held Trump-bashing and women-affirming signs and soaked up the sunny day after a two-hour rally featuring rock and folk singers, including The Resizters, and Kumeyaay ceremonies and music. 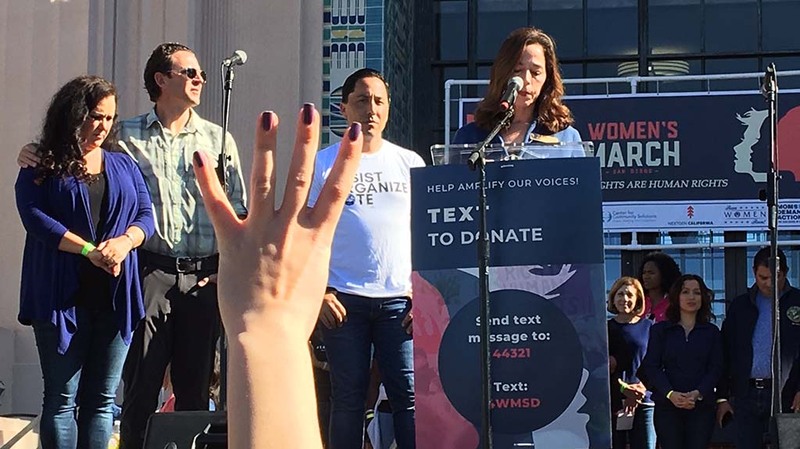 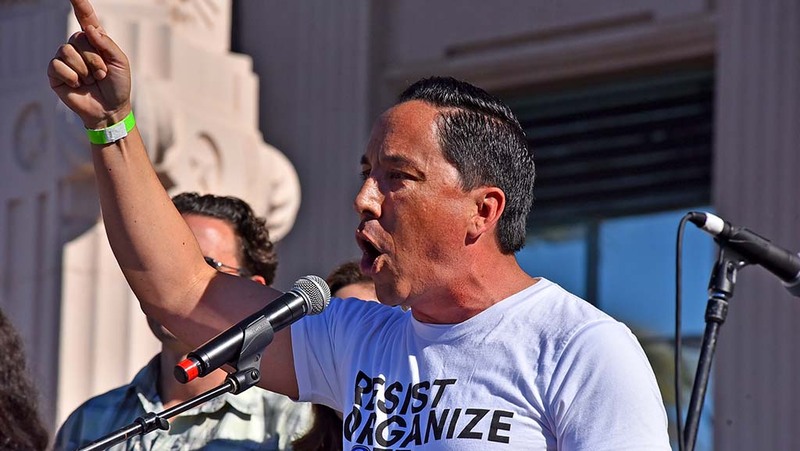 Dozens of women and a few men — including Assemblyman Todd Gloria and county Supervisor Nathan Fletcher — urged the audience to fight for their rights and not stay silent amid social injustice. 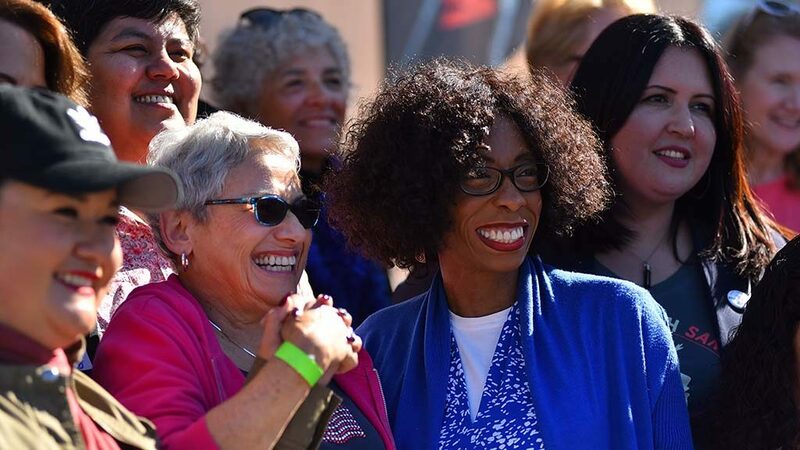 Also speaking were Councilwoman Barbara Bry, like Gloria a candidate for San Diego mayor in 2020, plus local activist Tasha Williamson, who announced her own run for San Diego mayor (but said she earlier shared plans on social media). 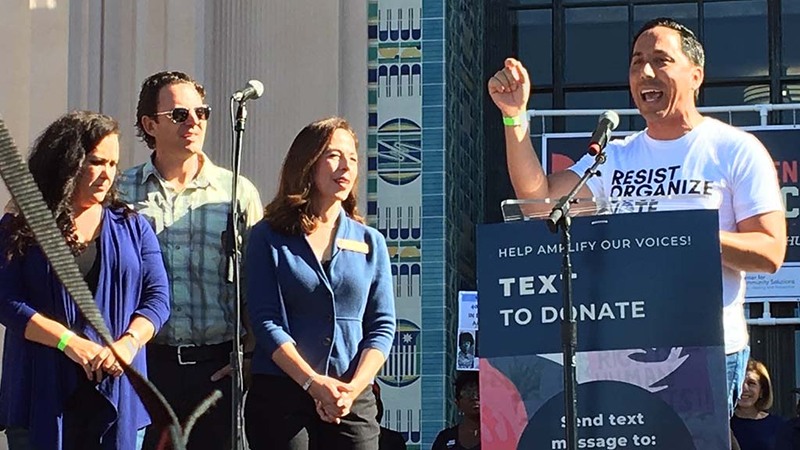 Waterfront Park in downtown San Diego was the site, with county supervisor candidate Nora Vargas as emcee. 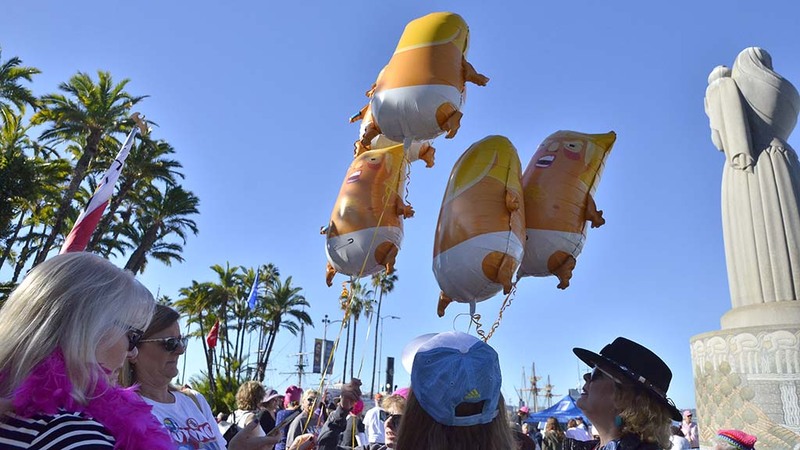 It was among dozens taking place in cities across the country. 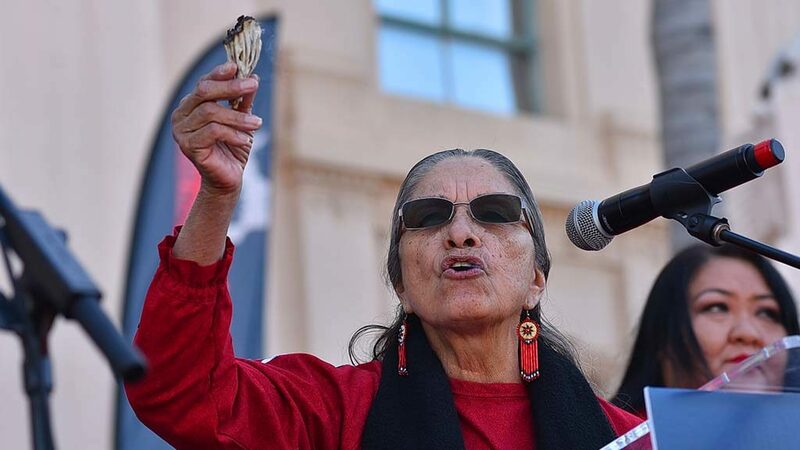 The downtown event kicked off about 10 a.m. with a prayer from Kumeyaay Elder Virginia Christman. 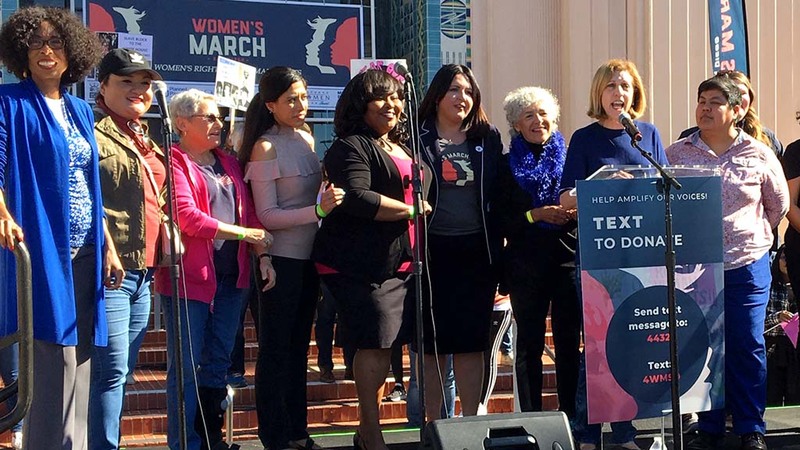 Many of the speakers discussed sexism, racism and rights for LGBTQ people. 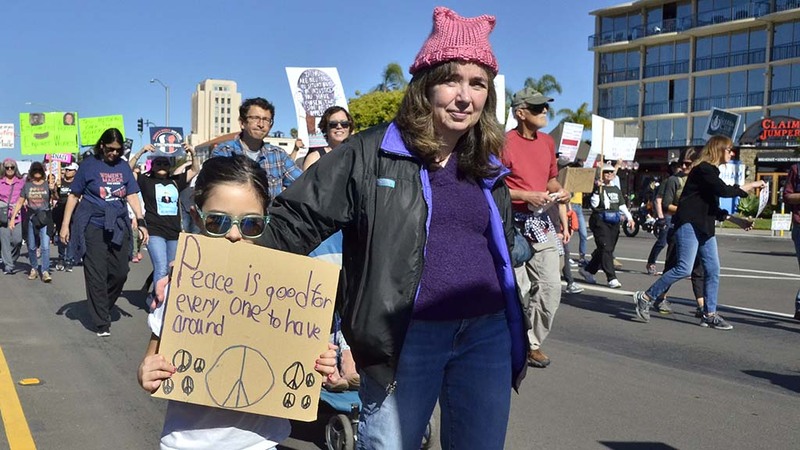 Activist Williamson, co-founder of the San Diego Compassion Project, mentioned her mayoral plan almost modestly. 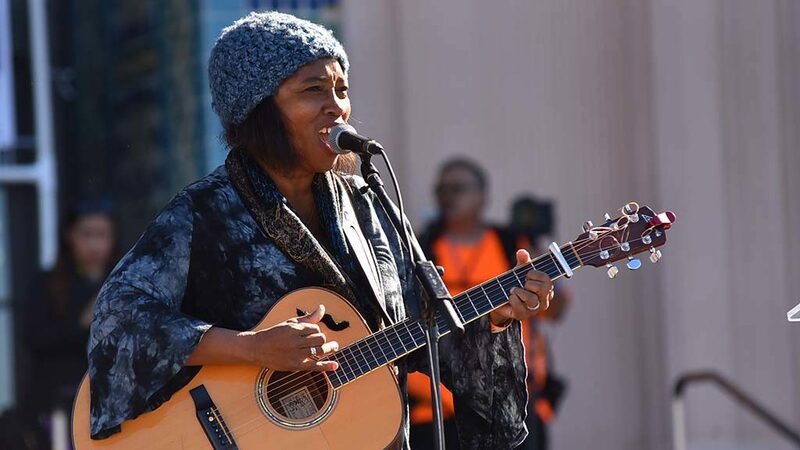 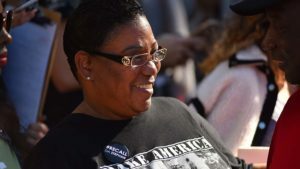 She is known for protesting the police shootings of people of color in the San Diego area, including Alfred Olango in El Cajon and Earl McNeil in National City. 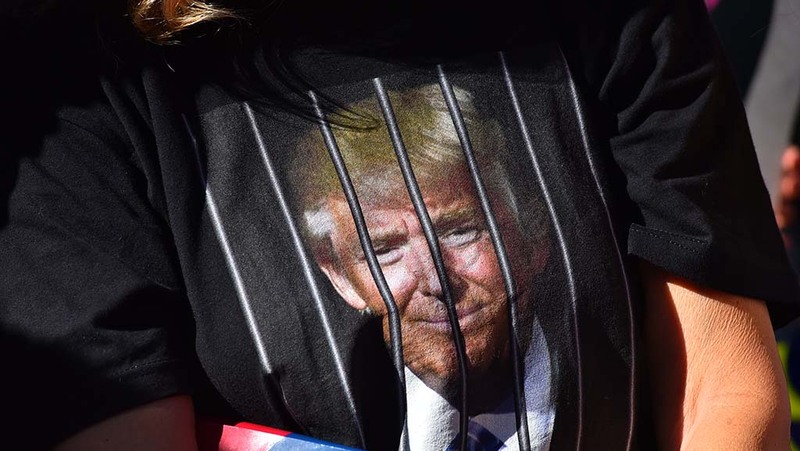 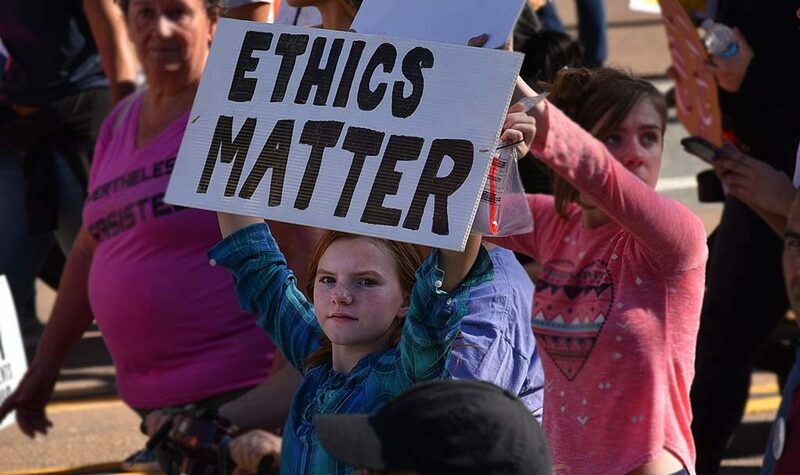 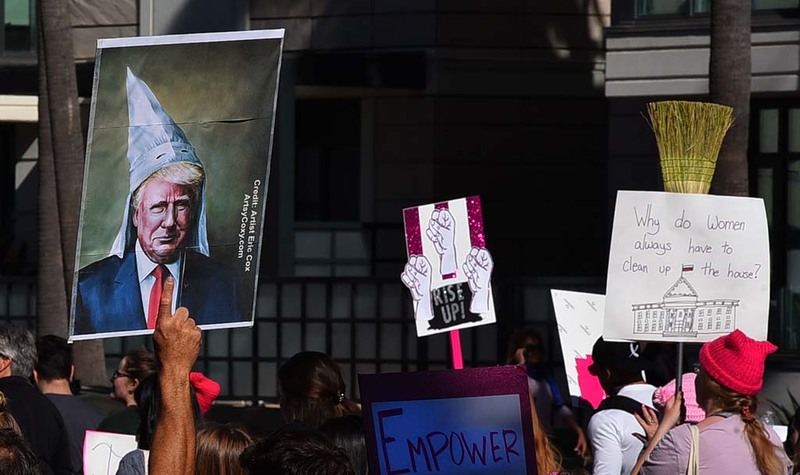 Many protest signs in the crowd called for impeaching President Donald Trump and criticized what they saw as his history of disrespect toward women. 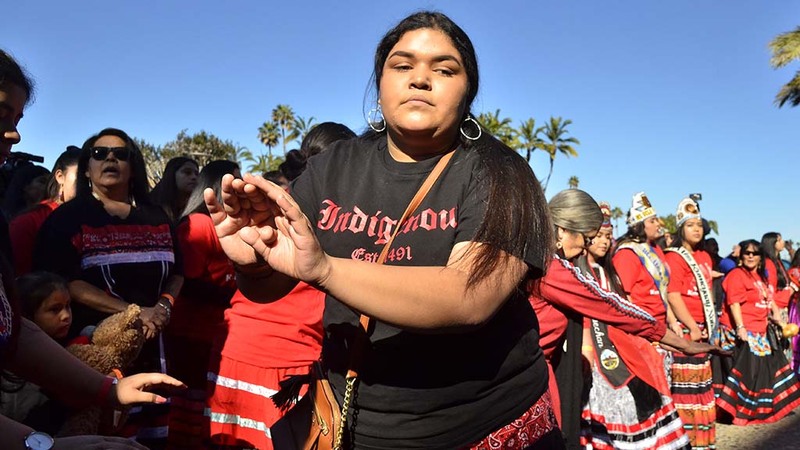 Sala Zalwango, a 21-year-old San Diego State student, said she’s come to the annual march every year since it began in 2017. 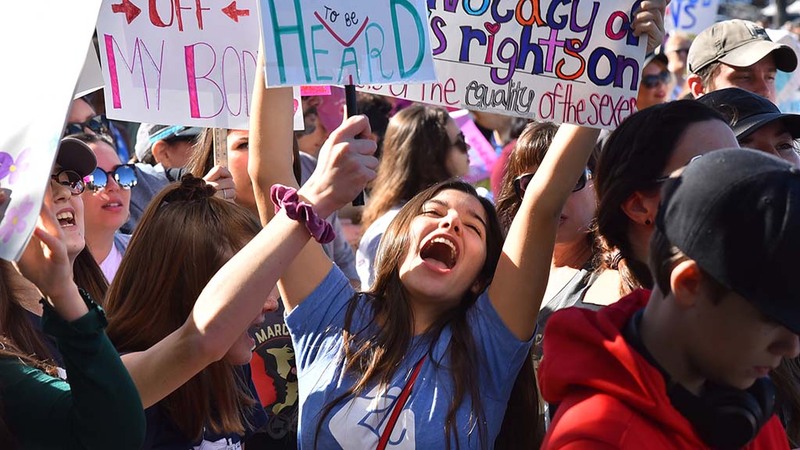 The inaugural marches sprang up as a response to Trump’s January 2017 inauguration and drew millions of marchers across the U.S. and around the world. 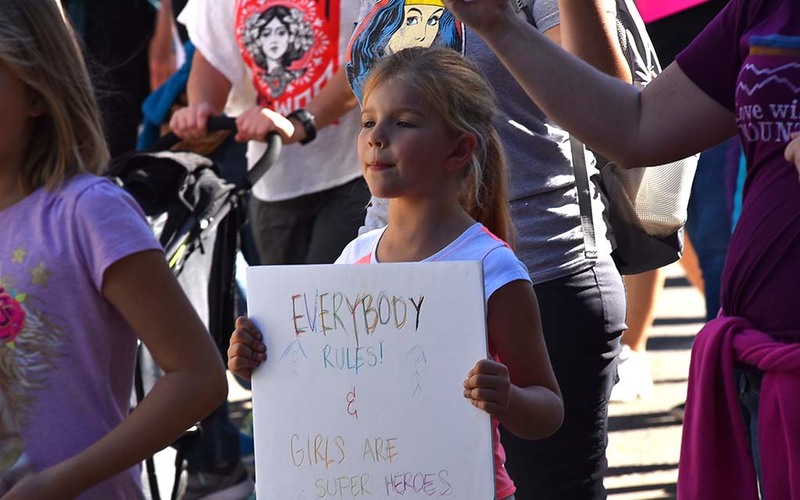 “I just think it’s an incredible cause, plus I just like being surrounded by women who are in power,” Zalwango said. 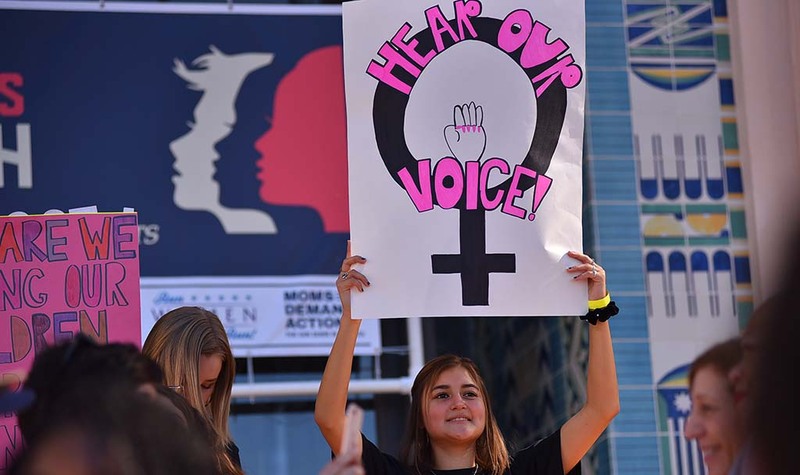 Alexandria Jones of Murrieta, 20, said she thinks the United States needs the Women’s March at this point in history, because it draws attention to rights that women and minorities are still fighting for. 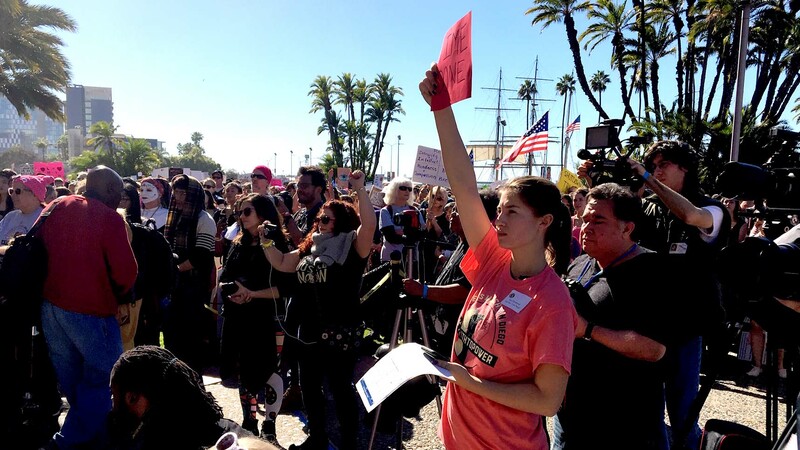 “I really wanted to come out and just kind of participate in something that I fell very strongly about and I just have a good dedication to this,” she said. 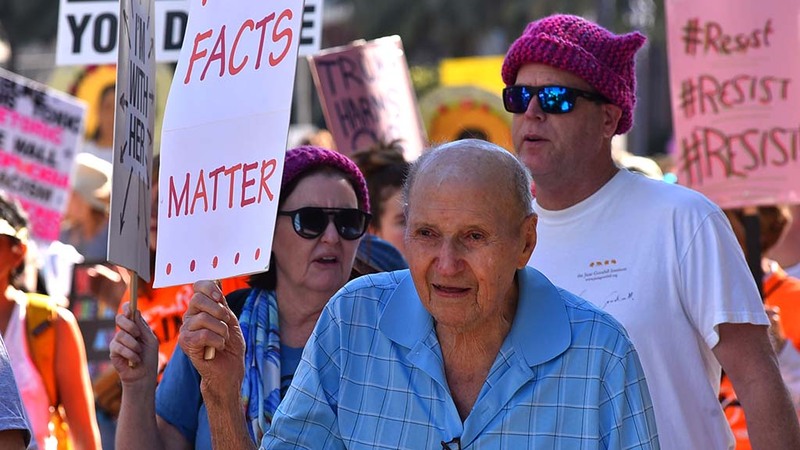 Ray Hall of Fallbrook, 76, said he was at the rally to stand as an ally with women. 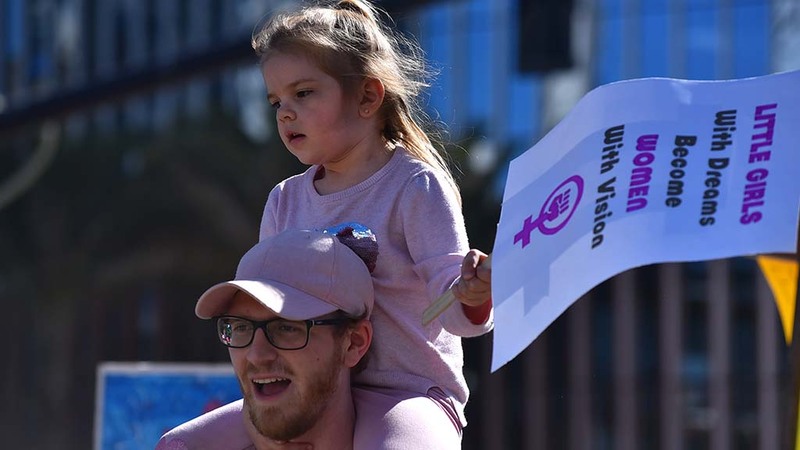 “We’re here for the ladies in our lives — our sisters, our mothers, our wives, our friends that are not getting treated equally,” he said. 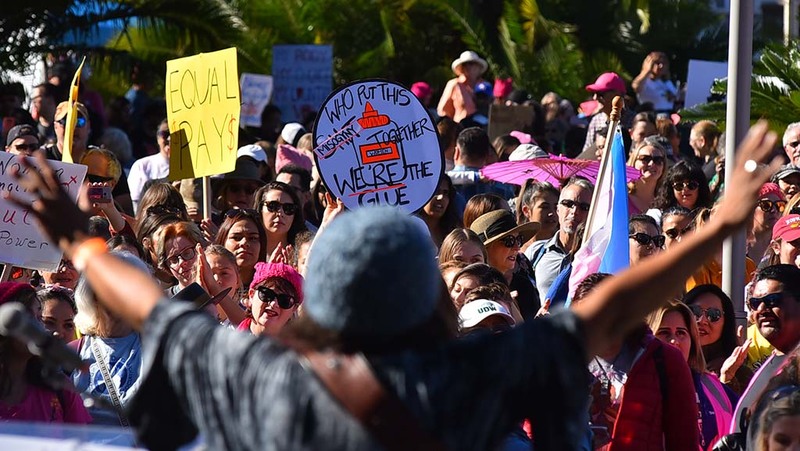 During and near the march, street vendors sold Women’s March buttons and flags, saying they answered a Craigslist ad. 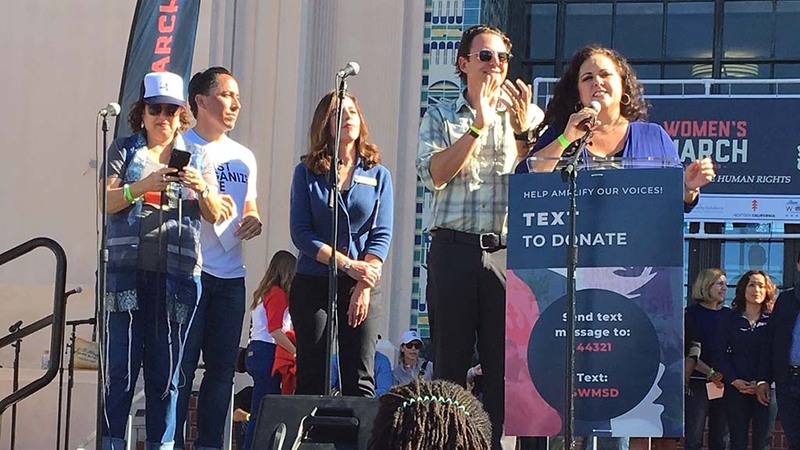 A portion of proceeds was promised to event organizers. 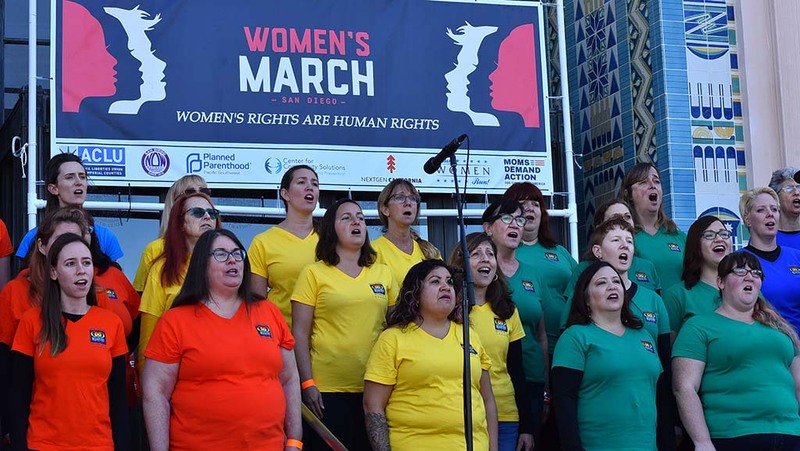 Ad hoc entertainment before the rally included a couple dozen middle-age women dancing and singing to recorded music near the children’s playground adjacent to the county center. 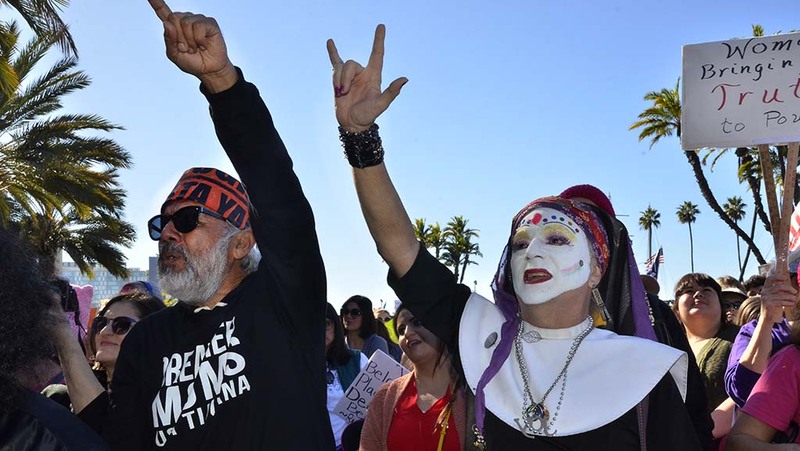 They called themselves Seaside Sisters — from Seaside Center for Spiritual Lives in Encinitas. 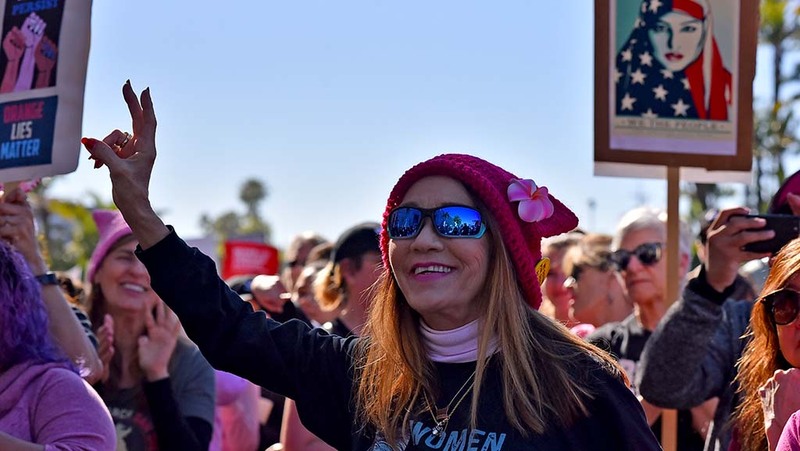 As marchers dispersed on Ash Street near Pacific Highway, they were greeted by a small group of vocal, banner-displaying anti-abortion protesters.